Is sharing the new sustainability? For many people, the so-called “sharing economy” has become increasingly appealing. Tossing aside consumption in favor of “access,” people are embracing forms of sharing that include bartering, borrowing, swapping, gifting, donating, time-banking and collective consumption. This new sharing can be as casual as purchasing a lawn mower jointly with a few neighbors or swapping babysitting services with a small circle of friends. It can involve more formal arrangements, such as joining a food co-op or CSA or sharing studio space with fellow artists. It’s the M.O. behind Zipcar, Inc. and websites such as swap.com and threadup.org. 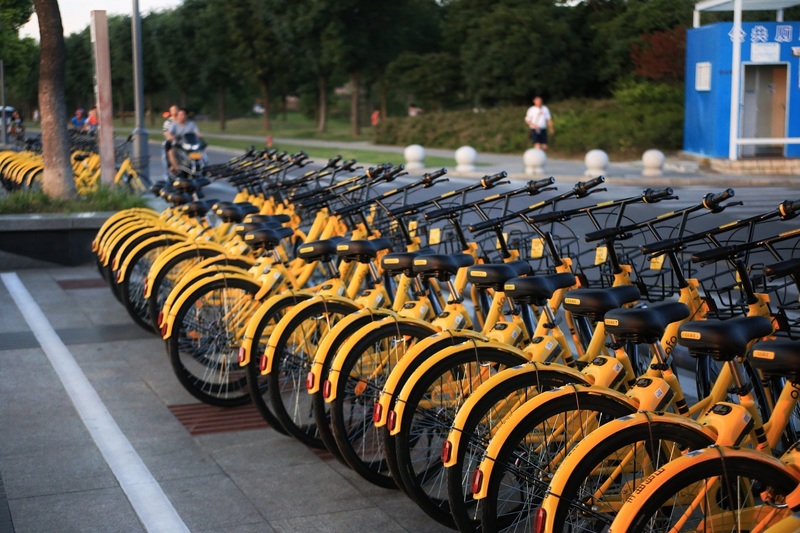 And, in some forward-looking towns and cities, it can even take the form of municipal bike- or car-sharing programs, time banks or energy cooperatives. If you’d like to consume less, reduce the need for income and enjoy the many other benefits of sharing, consider taking a sort of “lifestyle inventory” of your opportunities to share. You may find a surprising number of ways to get started. For example…. 1. Share food. If you and your friends produce some of your own food, whether veggies, herbs or eggs from backyard chickens, consider swapping the harvest with each other or donating some of it to local food banks. You might want to share meals with a small group of friends or neighbors on a regular basis. Or you can participate in a community garden or join a CSA (see Links & Resources), possibly splitting your share with someone else. 2. Share rides. It’s so hard for us to give up the freedom of our own cars. But if you live close to others who commute to the same location (or one nearby) or who hop on the same bus to New York in the morning, give car pooling a try. And check out NJ Transit’s Zipcar program (http://www.njtransit.com), designed to enhance existing public transportation and eliminate or reduce the need to own a car. 3. Share stuff. We recently purchased two used kayaks with a neighbor. We each keep one at our own home. If one of us needs the other kayak, he or she will simply borrow it for a while. We enjoy the luxury of access to two kayaks at half the price and with less need for storage space. You get the idea. Can you think of some items you could easily share with neighbors or friends? 4. Swap stuff. Kid’s clothes, sports equipment, books, DVDs (if you still collect those), tools, art supplies, things you just don’t use anymore… . Consider having a swapping party (no, not that kind), inviting folks with similar types of items to bring them to a designated location on some regular basis, perhaps once a month or every spring and fall. 5. Trade services. Put your skills to work helping someone you know in exchange for the benefit of that individual’s unique talents. Maybe you can teach someone to bake in exchange for marketing services or fix someone’s PC in exchange for sewing skills. This informal bartering could even inspire you to explore starting a formal time bank, where members can exchange services using a valuation of each skill’s worth based on time rather than money. Perhaps the sharing economy will be one answer to what ails the “real” economy. If so, maybe we really did learn everything we need to know back in kindergarten. Great ideas for sharing. I’m thinking about growing a few rows of fresh produce in my garden for the local food pantry this year. Thanks Patrice! That’s great that you’re going to help out your local food pantry. Lots of good info on your site, too!